When you’re selling a high-end piece of equipment with key engineering and performance features, how can you educate your consumers and differentiate your brand right in the store aisle? 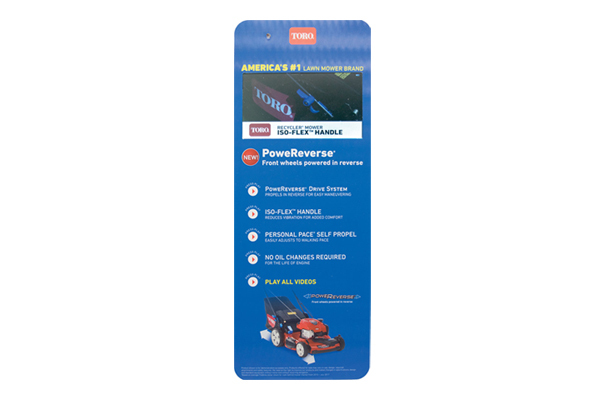 Toro turned to Americhip and its patented Video Blade to create a major statement in the aisles of Home Depot and other independent hardware stores around the country. Featuring its new Power Reverse model, Toro developed compelling videos around four key technological advances that made this the most innovative lawn mower in the market. 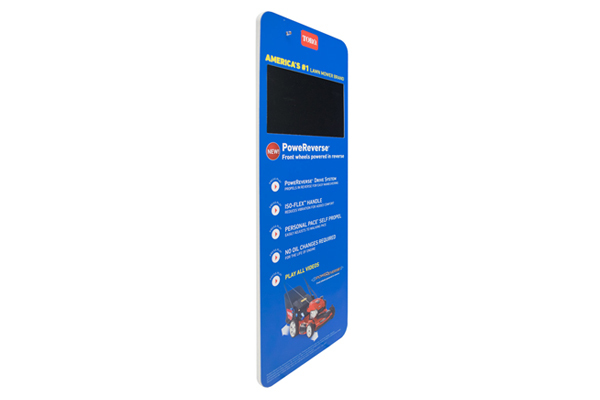 The 18” tall royal blue Video Blade makes quite an impression in store and, along with the flashing LED, helps to attract attention in the store aisle. 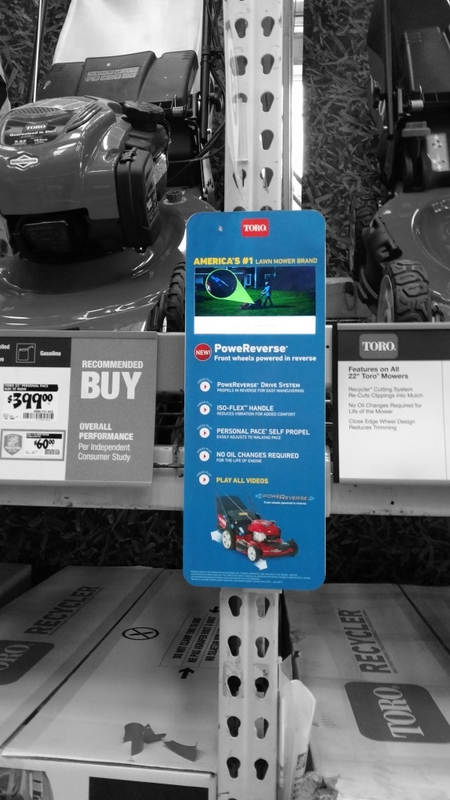 Consumers interfaced with 5 chapter buttons to educate themselves on the mower's key features and differentiators. Choose from our wide array of patented instore Video Blades to grab attention and then educate your consumers on the critical features that separate your products from the competition.